if it does not improve life on earth. 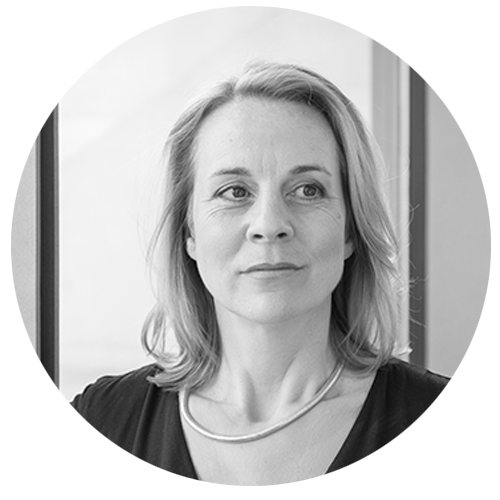 Keynote speaker, author and expert on sustainable business: Tina Teucher is enthusiastic about the diverse opportunities for future-oriented companies and gives guidelines to actively mold society and future markets. 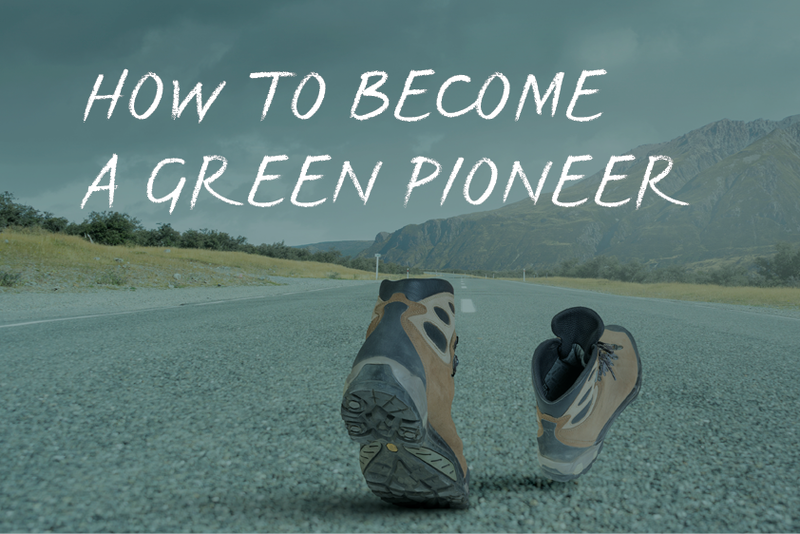 With an eagle-eye for the whole concept, facts, strategies and through exciting examples, she inspires people and organizations to purposive strengthen their positive impact: for business with sense, green innovations and long-term success. Economically, socially and eco – logically! We can’t predict the future. No problem, the others can’t do it either! How can we still prepare our companies? 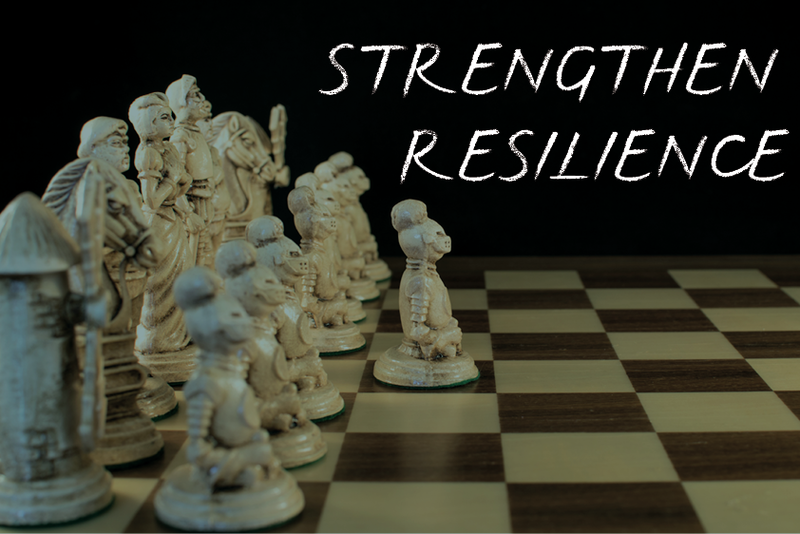 It’s time to increase your own resilience – the ability to flexibly deal with changes. To achieve this, we can grow with the megatrends: From Neo-Ecology, over Silver Society and Connectivity to the female awareness change: This future certainly won’t miss us! Who on the market is already using the characteristics of the age we live in for their benefit and what do all the developments mean for our strategy? The keynote inspires you to take a brave look at the bigger picture and opens up new thinking and action strategies for companies. Innovation-friendly and proactive. A “worthy” brand attracts and binds: talents, partners and, above all, customers. Long-term thinking and lasting success are directly related. What makes companies with an ecological focus so attractive? Which concrete decisions require special attention in case of a green strategy development – and how to avoid the lurking traps? And above all: How do the forerunners do it? 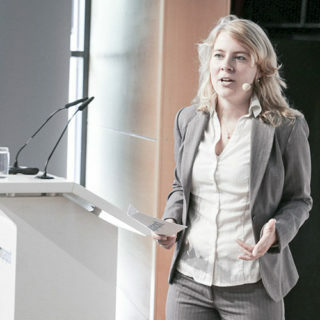 A keynote with numerous practical examples from DAX companies like BMW to a 50-man family business. The world is changing extremely fast – as well as the patterns for leadership. They are intended to help bring economic development, social justice and ecological balance in line. Of crucial relevance is therefore not only the ability of individuals to lead, but also the ability to jointly promote the fuel for collective change. 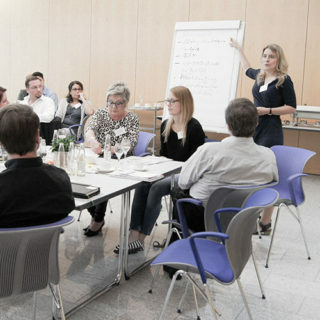 At the same time the working environment is rapidly transforming: concepts such as crowdworking, corporate democracy or work-life balance are being discussed simultaneously. They all should come under the same roof through “good leadership”. But how can one do this? The promising approach for this is a corporate culture based on respect and participation, ie cooperation of equals, at eye level. The keynote with numerous practical examples shows: Leading can only be done from the front line. 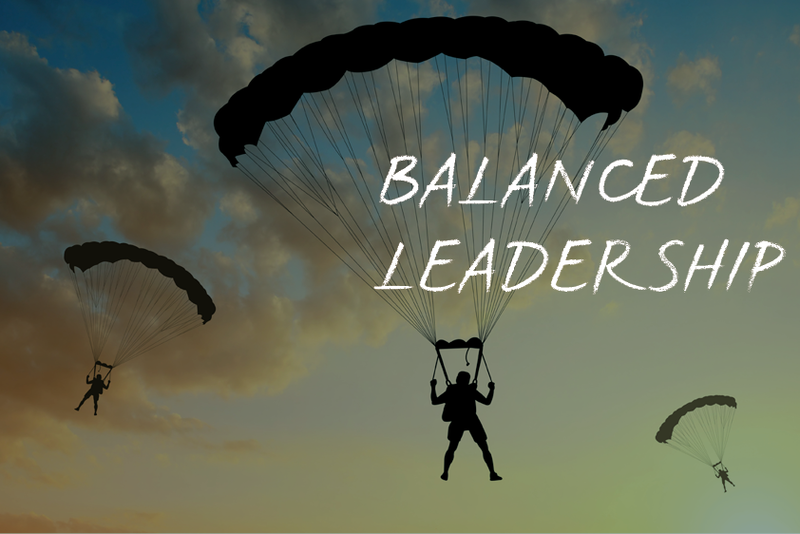 Sustainable Leadership rests on values, role models and intangible incentives. 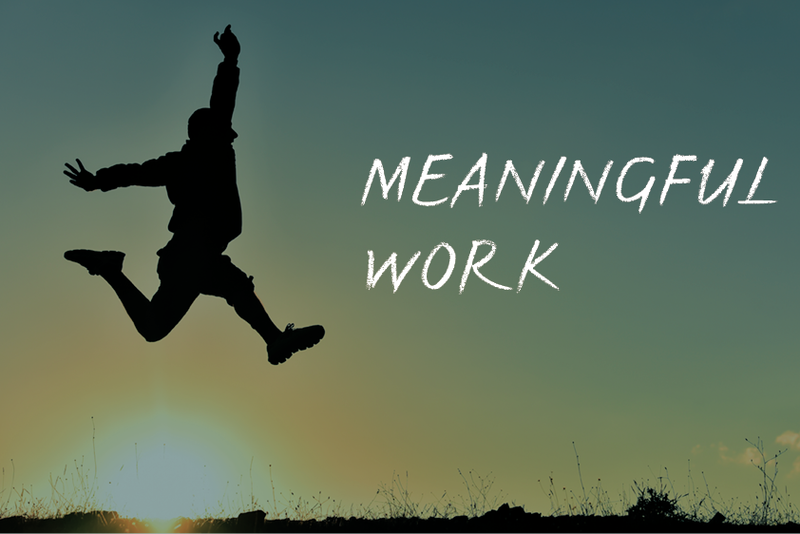 Employees are not only a cost factor, they are the most valuable resource of a company. Studies (Princton University, among others) show that the motivation grows only up to a certain annual salary. 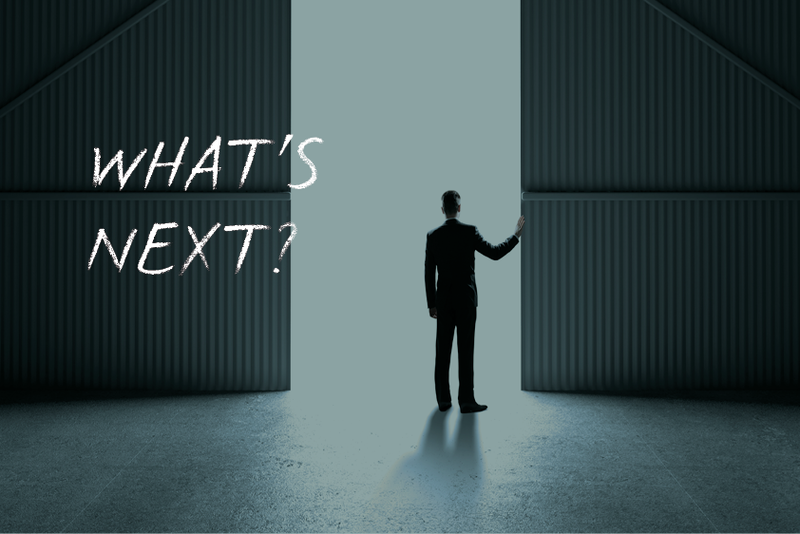 What comes next? How do you challenge your talents and boost the future viability of your company when we exclude financial incentives? Not only does the Generation Y ask for the WHY: Sensemaking and sustainability are becoming the leading philosophy. It’s all about the point of view: Generation Y doesn’t see the future as clearly determinable, but as a potpourri of possibilities. They want to be involved and involve others. They want to take and share responsibility. They want to do things together, instead of competing with one another. They love the feeling of being part of a larger thing they can stand for: with pride, fun and sense. Companies nowadays should be reliable and flexible, stable and innovative. Strong contradictions? 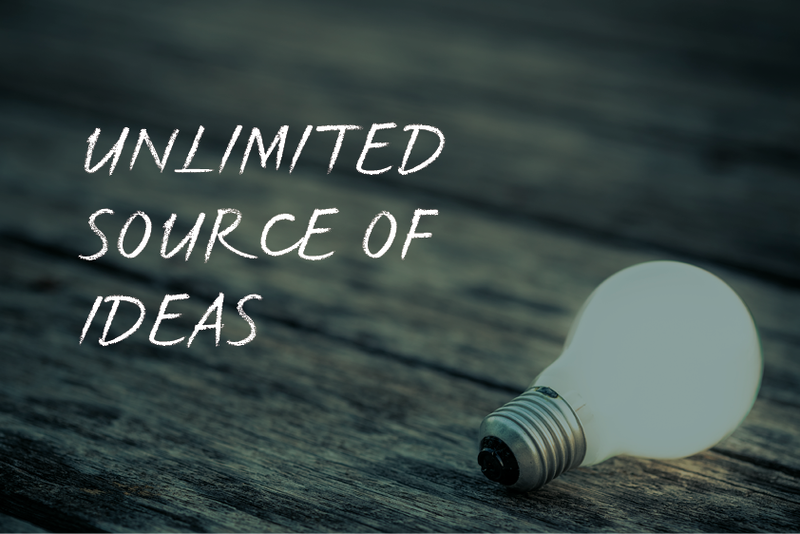 In the guiding lights of sustainability, more and more organizations are discovering the potential for thousands of business ideas and market opportunities – and in every industry! 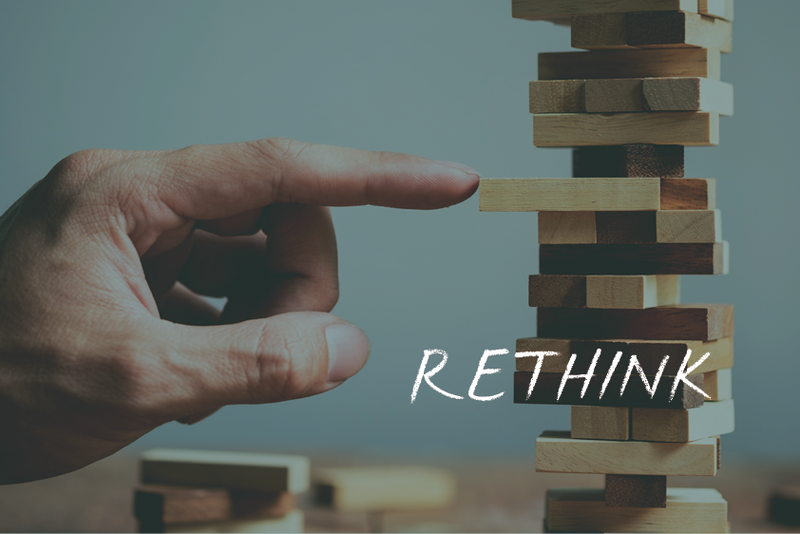 Surprising examples from seemingly ultraconservative sectors, such as chemistry, financial services or raw material extraction, encourage us to think outside the box. If you want to be at the winning podium tomorrow, if you want to be innovative and enter new markets, sustainability should be the core of your strategy. Sustainability InnovationsInspirations from "Factor 5" via "Sharing" through to "Cradle to Cradle"
Long-term thinking? This demand turns entire industries upside down. After all, customers, media, investors and employees are more and more often asking for it. Who on the market is already using the characteristics of the age we live in for their benefit? And what do all these developments mean for our strategy? The keynote inspires you to take a brave look at the bigger picture and opens up new thinking and action strategies for companies. From exciting concepts and Best Practice examples, rises a guide to re-invention. Nature shows how it’s done: (Eco)systems renew regularly, seasons change, animal and plant species adapt, landscapes reinvent themselves. Yet the speed, with which the climate changes stride ahead, ironically threatens its main cause: The man himself. It is time to increase the resilience of both society and economy – the ability to flexibly deal with changes. Examples from industries such as energy, construction, mobility and agriculture are inspiring us to rethink customer needs and business models. Innovation-friendly and proactive. 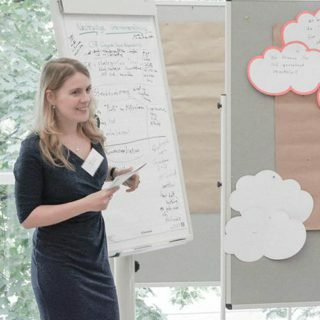 Whether through a lecture on corporate responsibility, a moderation for an innovation conference or through active sustainability communication for a new solution: Tina Teuchers’ enthusiasm for future-oriented innovations is contagious! “Courage, community and will power make the future grand. A good moderator is like a safari: The main characters feel as right as rain in their environment. The guide gives guidelines and creates connections. 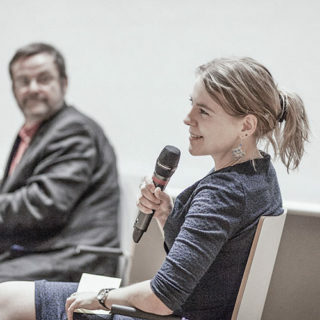 And the audience experiences exciting new perspectives and ultimately has the feeling: “I was in the thick of it – not just on the sidelines!”. 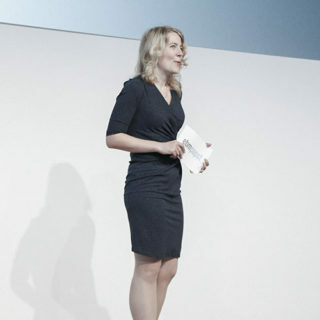 Tina Teucher enriches conferences, award shows, gala nights and meetings on future topics with her moderations. Guests are welcomed on an optimal stage, participants feel involved, and the discusers can bring their aspect to the point. When Tina Teucher moderates, everybody takes some inspiration home. Comprehensible, binding and versatile. 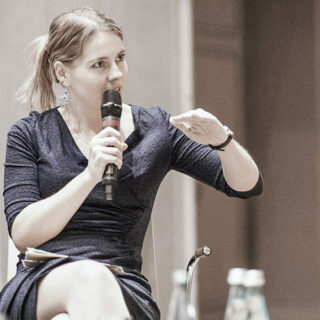 The “Fine selection of Speakers” by Karin Burger convinces the event industry. 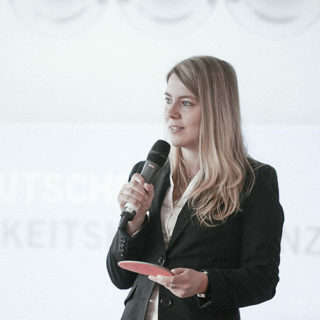 The event-experts from Munich direct the Speaker-management for Tina Teucher. They are your contact for requests and bookings. 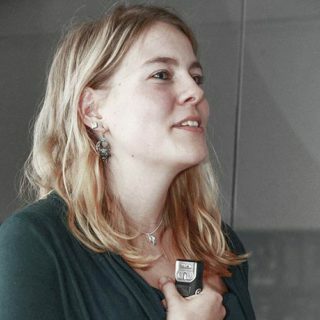 Tina Teucher inspires with presentations, lectures and articles on corporate success through sustainability, corporate social responsibility (CSR) and sustainable entrepreneurship. 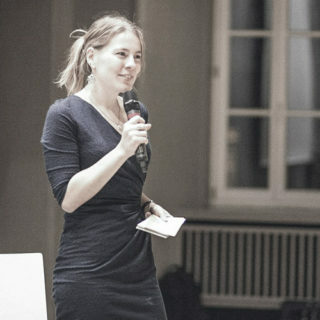 Among others, she holds lecture in the study program “Sustainability Marketing & Leadership” at the Fresenius University, and publishes books and articles on green and social innovations, transformations, energy transition and communication.